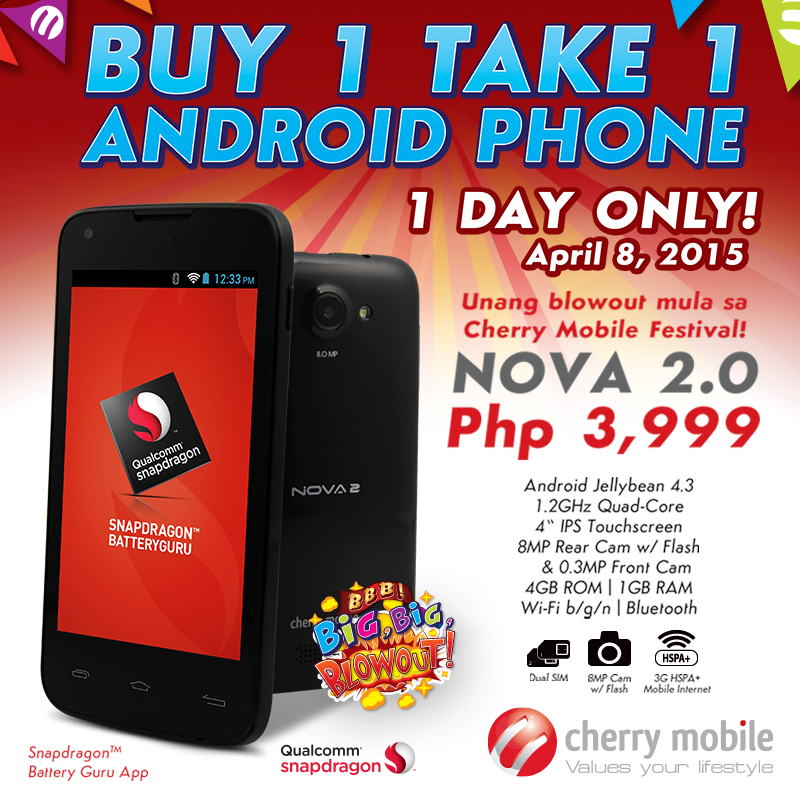 The Cherry Mobile Nova 2 is offered in a buy 1 take 1 blowout sale as part of the company’s Cherry Mobile Festival. You can get two Nova 2 smartphones in a Php 3,999 price tag in this one-day sale happening on April 8! The Cherry Mobile Nova 2 was released in June of last year with Php 3,899 price. It is basically one of the first quad-core phones offered on this price standpoint at that time.